Registered seed dressing or in-furrow fungicides are applied prophylactically to address disease risk, they can delay, reduce or eliminate disease resulting in significant yield responses however in the absence of disease are unlikely to provide yield or economic benefit. Refer to summary below and presentation and paper under External Links. 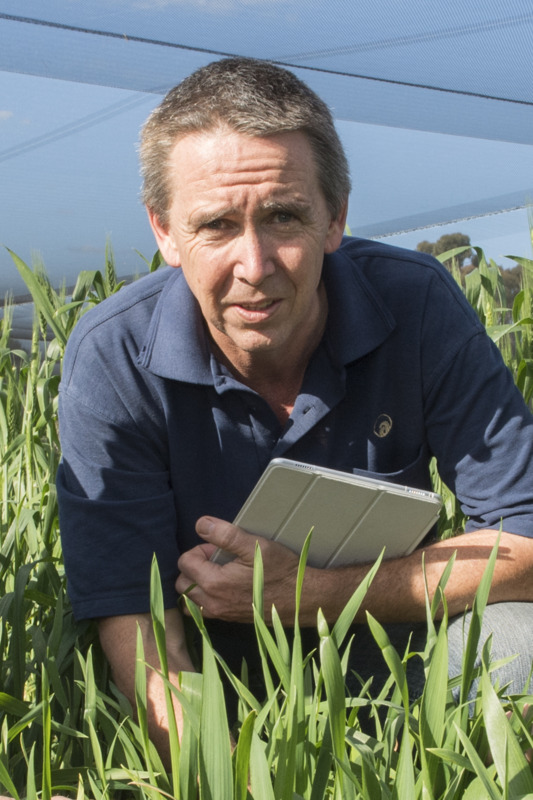 Investigate the efficacy of seed, fertiliser and foliar fungicides in reducing STNB severity and providing a significant yield response in susceptible barley varieties sown onto barley. 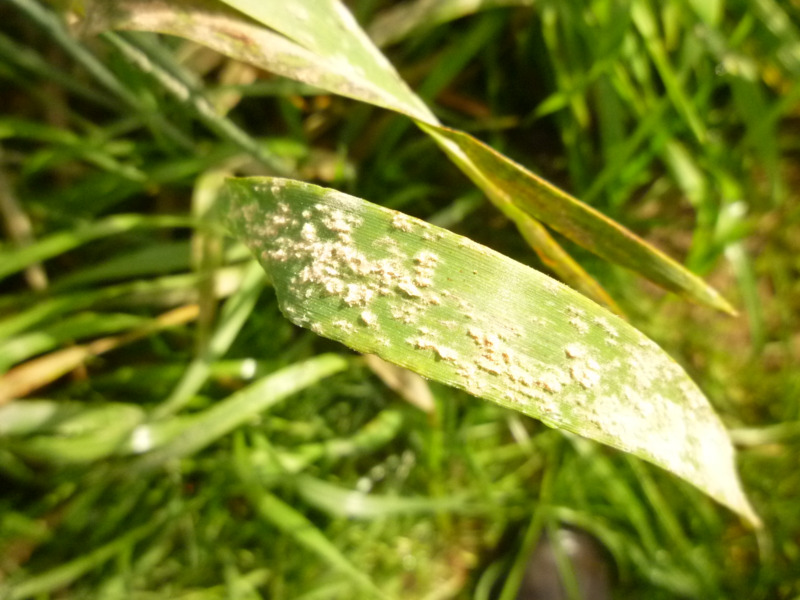 Investigate the effects of registered seed dressing and fertiliser applied fungicides on the time of onset, rate of development and yield impact of wheat powdery mildew in susceptible varieties. In five experiments, registered systemic fungicides applied to seed (fluxapyroxad) or fertiliser (azoxystrobin + metalaxyl) provided significant reduction in severity of spot type net blotch (STNB) in susceptible varieties sown into barley stubble, however fungicide application resulting in reduction of STNB severity did not guarantee yield response or economic benefit from application. In STNB affected susceptible barley varieties, yield response from combinations of at-seeding and/or foliar fungicide ranged from 0-24% with response in majority of trials being less than 10%. Greatest responses occurred at yields >3t/ha. In four experiments in at-risk environments, wheat powdery mildew was evident at three sites but only reached yield limiting proportions at one site. At-seeding fungicides had significant impact on disease severity and incidence at two sites resulting in significant yield responses (>15%) at one site. At-seeding fungicides registered in wheat, including fluquinconazole, triadimenol and fluxapyroxad seed dressing and flutriafol, triadimefon and azoxystrobin in-furrow applied products delayed the development of powdery mildew epidemics in susceptible wheat. Differences between products were evident between sites with flutriafol in-furrow being consistently in most effective group. In three of four sites where wheat powdery mildew severity was not yield limiting, neither foliar nor at-seeding fungicides provided a yield response and would not have provided positive return on investment.